Can 3D plant project data control be easy on Administrators? With the release of its new PDC engineering content management environment, CAD Schroer aims to help process plant and large-scale assembly designers to effectively manage growing engineering design complexity, without a huge administrative burden. 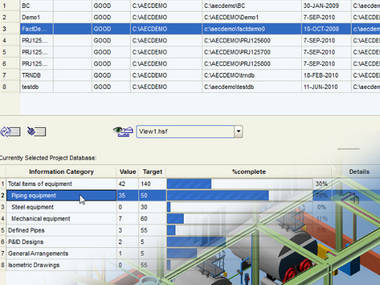 PDC has just been launched with release 5.1 of CAD Schroer’s database-driven MPDS4 3D plant design system. PDC manages all design data and associated documents, and is fully integrated with CAD Schroer’s MEDUSA4 DRAFTING and MPDS4 plant engineering software. Its open architecture makes data available to existing PLM, PDM, ERP or analysis systems, and to other users via the Internet, allowing distributed teams to collaborate globally. PDC provides version management, user and access privilege controls, and manages all project-related content (e.g. 3D models, 2D drawings, spreadsheets, piping isometrics), as well as design-specific data (e.g. component attributes, parts lists or the current editing status of a drawing). Users can also explore relationships between documents, i.e. between model files and their definition sheets. PDC queries can locate similar projects, allowing users to copy databases for a quick start on new designs. 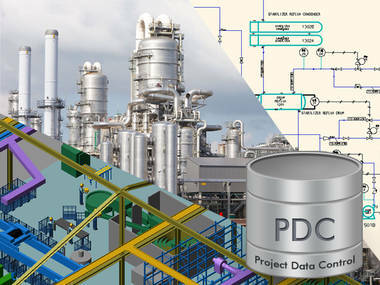 PDC makes downstream engineering data, such as piping isometrics, available to other project stakeholders, or to other systems for stress analysis for example. With PDC, plant designers can flexibly manage project complexity, effectively using engineering data without a huge implementation burden. CAD Schroer’s experts provide practical technical solutions to customers worldwide, integrating engineering and corporate processes to meet business objectives.